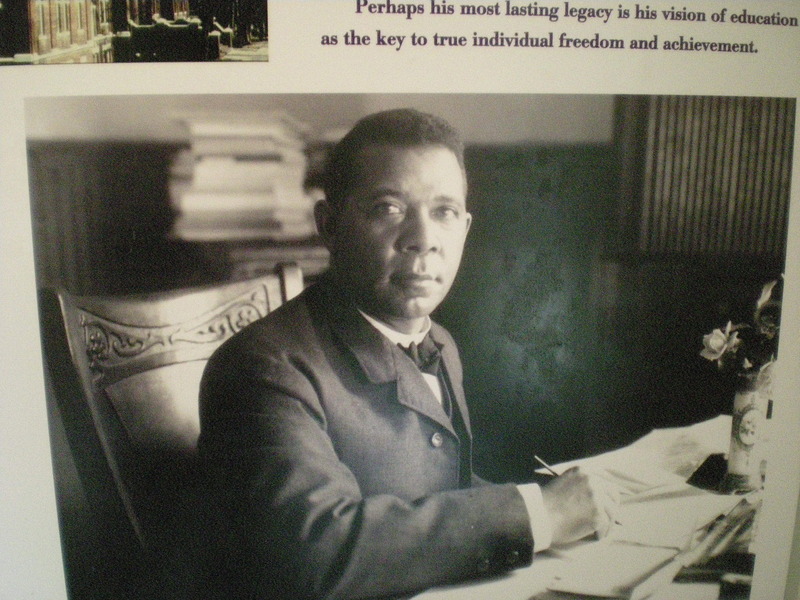 In the previous post, we explored the history of the Booker T. Washington National Monument, including the incredible story of the man himself. In this post, we’ll look at the more “natural” side of this national park, including how my Uncle Joe helped the ranger in a chicken round-up. 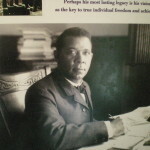 Located in southwestern Virginia, the Washington site sits on the site of the former Burroughs plantation, where Booker T. Washington was born and raised. While the “house” itself is gone, some of the “farm” remains, leading to some interesting animal encounters during the April 2013 visit with my Aunt Viola and Uncle Joe. 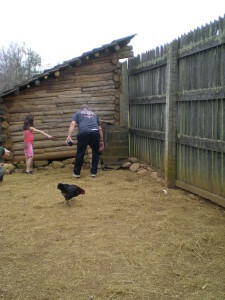 Rooster at the Booker T. Washington National Site. 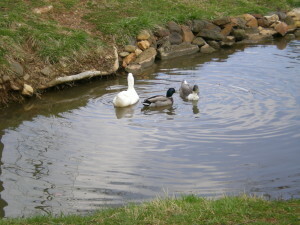 I like animals and I have had several pets, but farm animals make me a little nervous, especially birds. 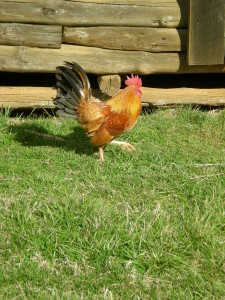 I thought this rooster was pretty, but I was able to observe him from a “safe distance” thanks to a good zoom lens. 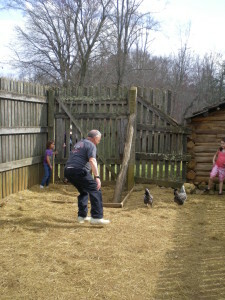 Uncle Joe, however, got up close and personal with some of the other chickens. 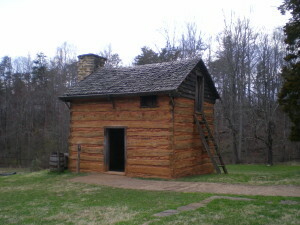 Aunt Viola and I were still looking at the reconstructed Washington cabin when we realized that Uncle Joe was not around. 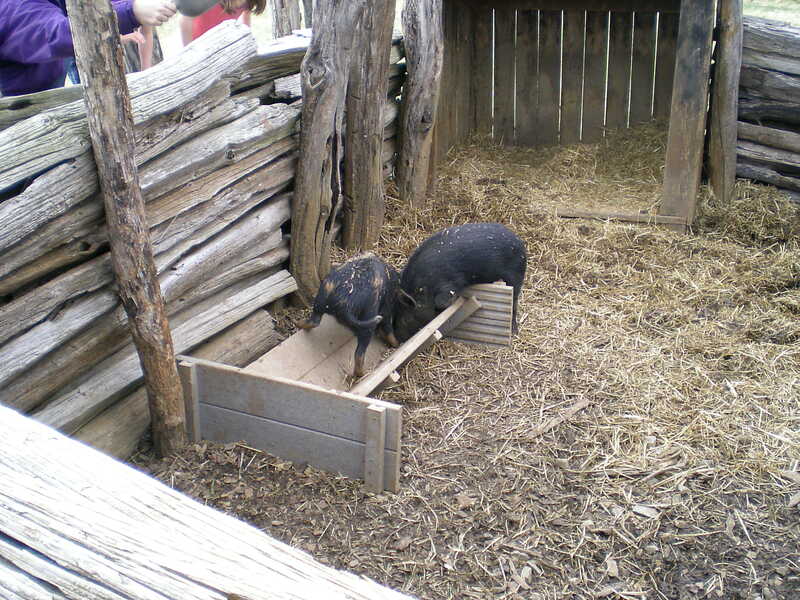 We found him in the chicken pen helping the ranger and some little girls trying to get the chickens in their coop for the night. 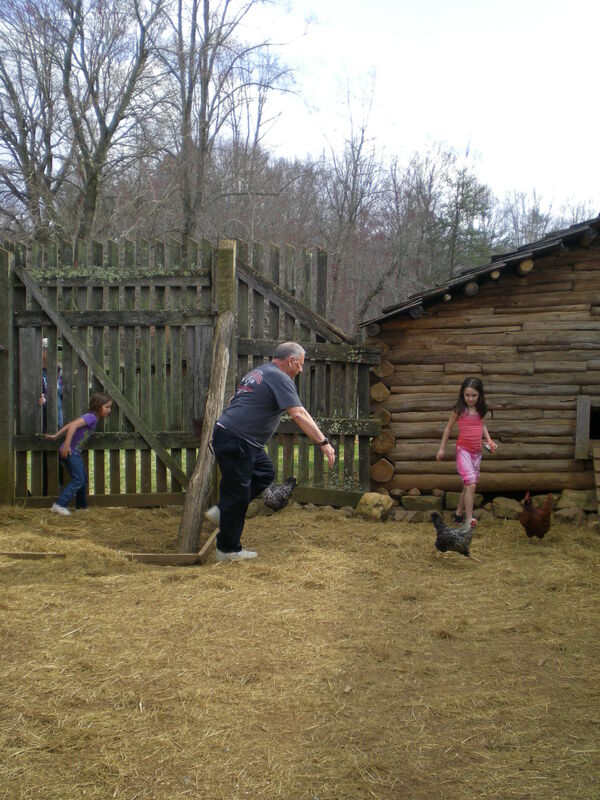 As you can imagine, chasing chickens is not easy, but it is fun to watch! 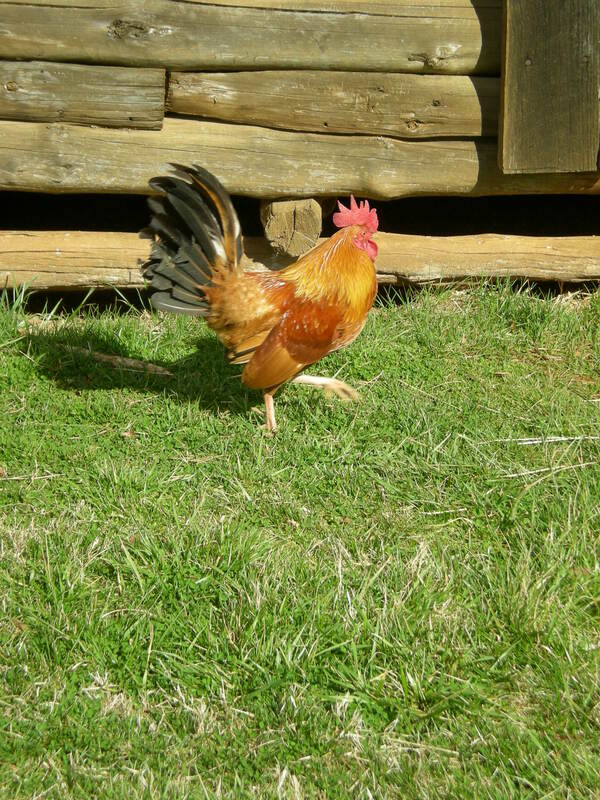 The team, who tried both a man-to-man (person-to-chicken) and zone approach, would get one chicken in the coop and then chase another, so the first chicken would come out again. After a while, Uncle Joe guarded the door, although the chickens tried hard to escape. I was busy laughing and frantically trying to get pictures on both my camera and phone, and it did not occur to me to get video! Still, here are some action shots of the great chicken chase– something we’ve never seen on a Nerd Trip! The chicken chase is on! 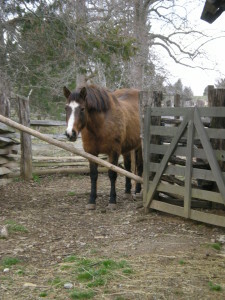 After the chickens, we moved to the barn where we observed some horses and pigs at a safe distance. 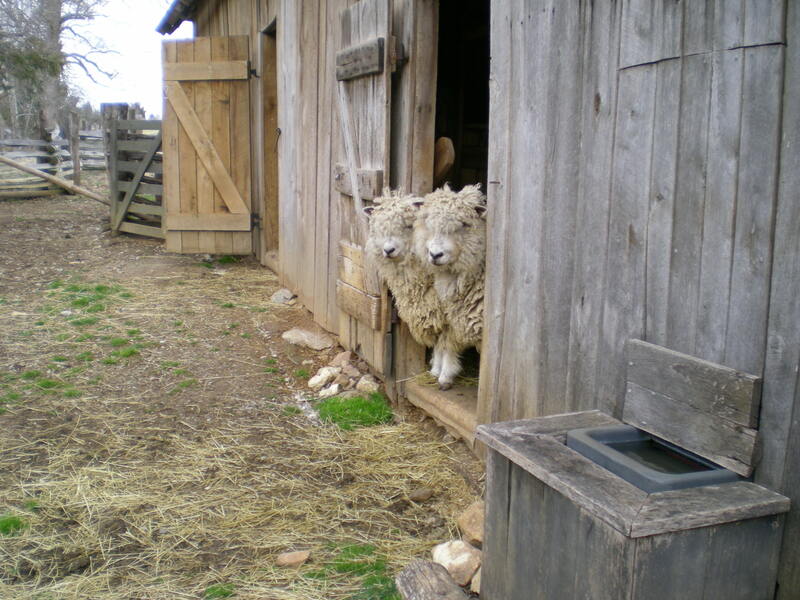 Then we came to the sheep. Another ranger invited us, including the chicken chase girls, into the sheep’s corral to see a baby sheep who had been born just a few weeks earlier. Her name was Patty as she was born on St. Patrick’s Day. 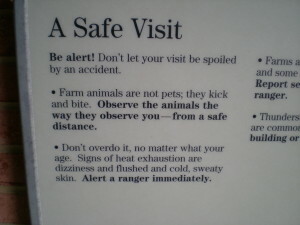 As we moved closer, the ranger cautioned, “Now don’t come too close or the mother may charge you.” Seriously!? 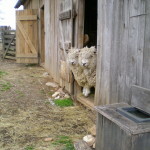 You lure us into a pen with a potentially charging mother sheep? I think I was so nervous and stayed so far back that my picture of Patty is grainy and out of focus. 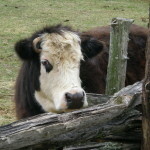 Emma the cow. She looked friendlier in person. After snapping a picture of Patty, we backed away slowly and went to see the rest of the park. The Booker T. Washington National Monument has some nature trails where you can walk and explore. 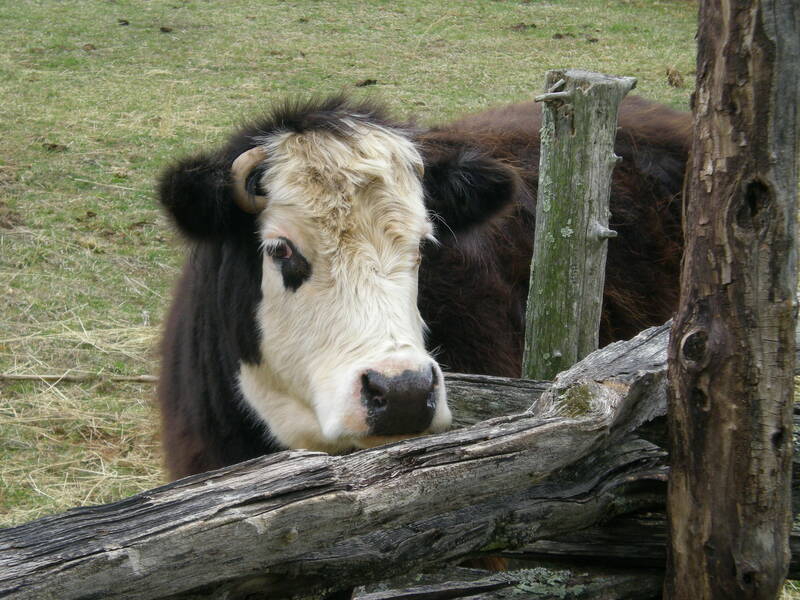 We did not have time for that, so we finished with a visit to Emma the cow, who looks very friendly, so it is very tempting to try and pet her (remember, farm animals can bite). I leave you with more pictures of the animals at the Booker T. Washington National Monument, a Nerd Trip that combined history and a little animal adventure. Next post: We hit the streets of London on the hunt for homes of some famous folks. 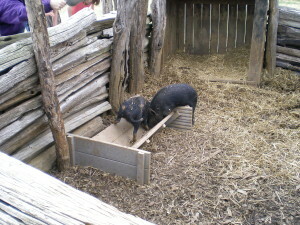 The chicken chase girls helped feed the pigs. I’m crazy about animals, so this puts the site on to my must-do list. Love the chicken story. 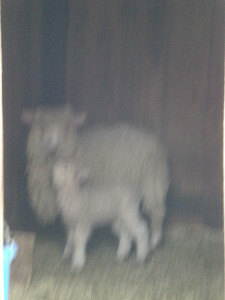 And the lamb. The lamb was cute, but I was very concerned about her mother!